HMAS Betano was commissioned into the RAN on 8 February 1974 at HMAS Moreton in Brisbane. She was the last of six Landing Craft Heavy (LCH) built for the RAN’s first dedicated amphibious squadron. Each LCH was named after an amphibious assault of World War II. The LCHs, with their shallow draft, were capable of transporting large amounts of cargo, personnel and equipment to/from locations that larger amphibious vessels could not access. A typical military equipment comprised comprise three battle tanks, twenty-three quarter-ton trucks or thirteen armoured personnel carriers. A Chinook helicopter lowering a fuel bladder on board HMAS Betano during trials in Moreton Bay. Betano put to sea for the first time on 13 February 1974 in company with her sister ship, HMAS Brunei. The two vessels proceeded south to Sydney to participate in Exercises LONG BEACH and KENTIA PALM, operating in support of the Army enroute. Betano returned home to Brisbane on 28 March. She then settled into a steady routine of exercises, maintenance and Army support tasks off the east coast of Australia, including participating in the major amphibious Exercise KANGAROO ONE in June. The RAN Amphibious Squadron conducting beaching operations in Queensland. From left: HMA Ships Brunei, Betano, Labuan, Balikpapan and Tarakan. 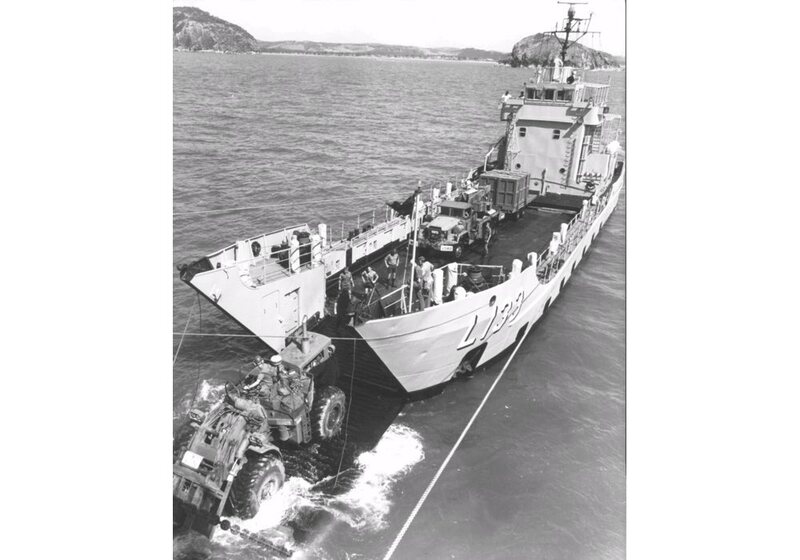 Betano was called upon to offer humanitarian relief as part of Operation NAVY HELP DARWIN, the RAN’s assistance mission to Darwin in the wake of Cyclone Tracy, which devastated the Northern Territory’s capital city on Christmas Day, 1974. Betano, along with her sister ship HMAS Balikpapan, were the first RAN vessels to depart for Darwin on Boxing Day. 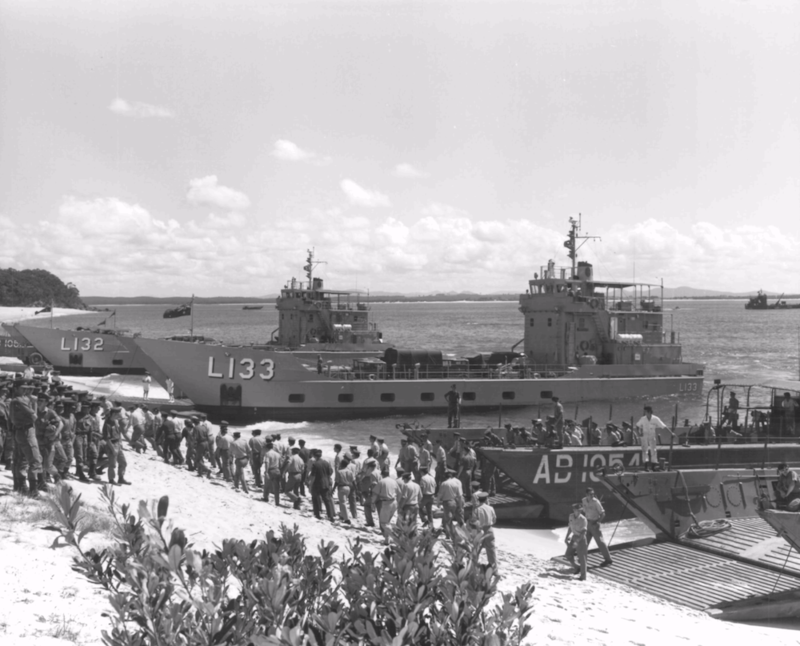 The two LCHs arrived in Darwin on 4 January 1975 carrying food and other supplies. Betano remained in Darwin assisting in clean-up operations until 23 January when she departed for Brisbane on 23 January. Following the deployment to Darwin, Betano continued to support the Australian Army in a variety of tasks off the east coast of Australia, as well as providing training for RAN cadets and performing beach survey tasks in northern Australian waters. From July to September 1975 she transported a number of the RAN’s new Sea King helicopters, which had recently arrived from England, from Sydney to HMAS Albatross in Jervis Bay, and also visited Melbourne for the first time in September in support of cadet training at HMAS Cerberus. In April 1977 Betano departed Australian waters for the first time to deliver two 16m patrol boats, KRI Sabola and Sasila, to Tanjung Pinang for the Indonesian Navy. The ship visited Singapore, Surabaya and Benoa before arriving back in Darwin at the end of May. Later, Betano participated in Exercise LONG VIGIL, a very successful joint-service amphibious exercises in northern Australian waters. Following a refit at the end of 1977, Betano visited Tasmania for the first time in February 1978 participating in the Launceston Regatta on 25 February, the George Town John Batman Festival Parade on 5 March and acting as Flag Ship for the Devonport Apex Regatta on 6 March. Betano then resumed the routine of training, exercises, maintenance and various other support tasks for the remainder of the 1970s, primarily off the Australian east coast. From July to September 1978, she also participated in one of a series of major cross-service surveying operations known as Operation BEACHCOMBER, the aim of which was to gather information on the beaches and hinterland of Australia’s northern coastline between Brisbane and Geraldton. On 29 September 1979 Betano again departed Australian waters for Indonesia to participate in Operation PATTIMURA, the surveying and mapping of the Maluka Province by Australian Army surveyors. Betano again returned to Indonesia in April 1980 for Operation PATTIMURA 1980. She spent most of the month of May in Indonesian waters transferring stores and supplies to various islands in the Arafura, Banda and Coral Seas, and was also tasked to conduct preliminary surveys of a number of islands in the Banda Sea to assess their suitability for LCH operations for PATTIMURA 81. She briefly returned to Indonesia in July for the extraction phase of PATTIMURA before participating in Exercise GOLDEN STRAND in August and the Australian Amphibious Squadron Week in December. These exercises were highlighted by an amphibious exercise at Amity Point on 10 December, the first of its kind ever conducted in Australia. Betano conducting logistics over the shore operations during Exercise Kangaroo 81. The high tempo of training and exercising continued over the next four years including participation in Exercises NORMANBY RANGER, KANGAROO, SHARK FIN, WATER TERMITE, BLUE WATER, SEA STRIKE, DIAMOND DOLLAR and LIVELY LANCER. In April 1983 Betano performed channel clearance operations in the Solomon Islands as part of Australia’s Defence Cooperation Program. With members of Clearance Diving Team One embarked, she performed clearance operations in the San Cristobal, Malaita, Santa Isabel and Guadalcanal areas as well as carrying out civil aid tasks. She departed for home, via Papua New Guinea, on 16 May. In late March 1985 Betano was modified as an interim survey ship. A month later she began her first survey operations off the Queensland coast near Bowen, however, adverse weather reduced the available sounding period by nearly 50%. For the next four years the ship participated in survey operations in northern waters from Queensland to Western Australia and throughout the islands of the Torres Strait. 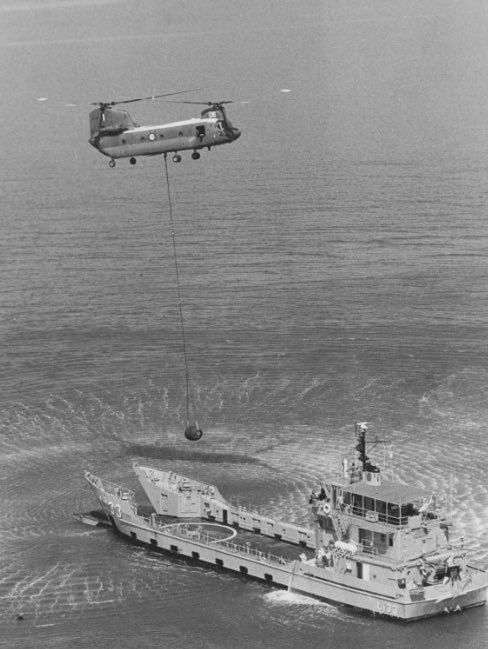 Most survey operations took place off the Queensland coast while others, such as Operation BEACHCOMBER 86, were conducted off the Western Australian coast near Broome. She also surveyed Arnhem Land in 1987 and took part in Operation BEACHCOMBER 88 held between Cairns and the Cape York Peninsula. Reverting to her amphibious role, Betano was a participant in Exercise INITIAL LANDING 87 held in Moreton Bay and on the Brisbane River in April 1987. Survey operations were interrupted on 23 May 1986 when Betano was ordered to Cairns to embark disaster relief stores for the Solomon Islands in the wake of Cyclone Namu. The ship arrived in Honiara on 30 May and continued relief operations until 8 June, distributing food, clothing and other supplies, providing debris clearance teams ashore and landing a survey party to compile initial levelling data for the rebuilding of the bridge over the Ngalimbiu River east of Honiara. 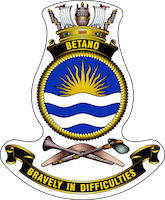 Betano deployed overseas again in May 1988, in company with HMA Ships Brunei and Flinders, bound for Papua New Guinea. There Betano conducted survey work in the Hermit, Kaniet and Sabben Island Groups in the Bismarck Sea as well as around Madang, Wewak and Manus Island in June. 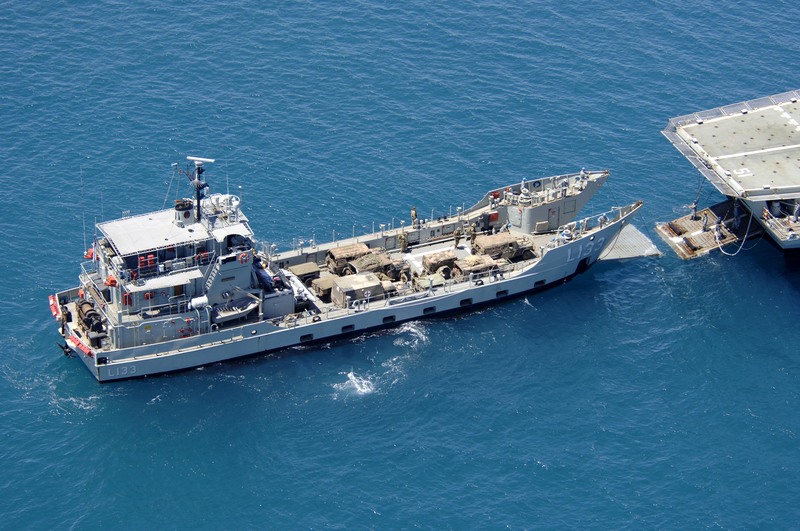 HMA Ships Betano and Buna conducting amphibious exercises with Australian Army personnel and vessels. Betano’s time in the hydrographic survey role came to an end on 11 September when she was retasked to support diving operations as part of Operation ERITH in the vicinity of John Brewer Reef off Townsville. This saw her refitted as a diving, navigation and army support vessel and home ported at HMAS Waterhen in Sydney on 17 December. Support for dive training began in earnest in March 1989 and included training for officers and sailors from the navies of Thailand, Malaysia, Singapore and Papua New Guinea. Betano also undertook a number of public relations duties in Sydney waters including acting as the starting ship for the Sydney to Mooloolaba Yacht Race on 14 March 1989. Embarked on that occasion was the Governor of New South Wales, Rear Admiral Sir David Martin, KCMG, AO, RAN who fired the starting pistol. More serious work followed when the vessel participated in the tri-service counter-terrorism Exercise SPLASHDOWN in June 1989, before deploying in September to Papua New Guinea. There Betano took part in Exercise PARADISE with RAN and Papua New Guinea Defence Force (PNGDF) ships in the Bismarck Sea, The crew also performed a number of civic tasks whilst alongside in Kimbe. These included painting a schoolhouse, conducting confirmatory checks of the harbour plan and providing assistance in the clearing of unexploded ordnance near the Hoskins Airfield. On 6 October Betano participated in a fleet entry and review in Simpson Harbour, Rabaul, followed by a Freedom of Entry march for the PNGDF in Rabaul. She recommenced diving and navigation training on her return to Australia on 12 October. 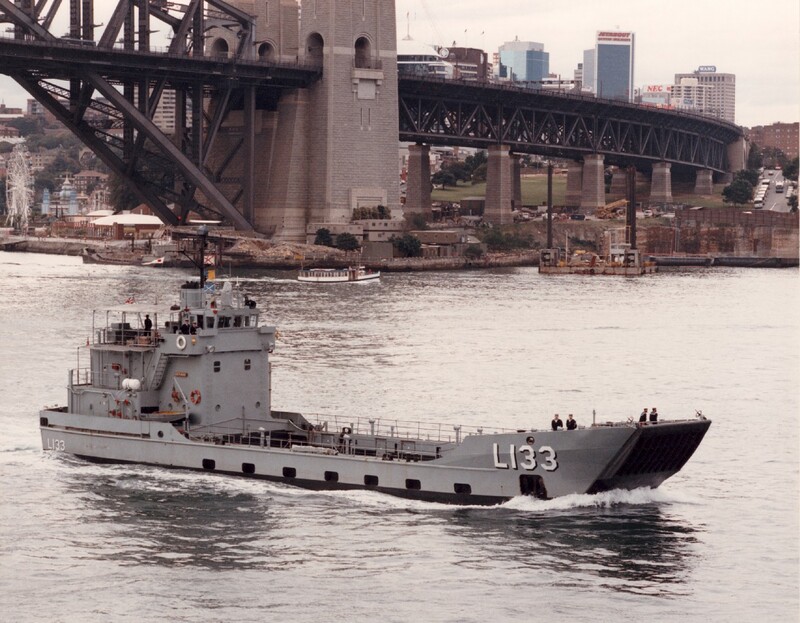 HMAS Betano departing Sydney, 8 August 1990. Betano was refitted between March and July 1990, and in August she participated in Exercise SWIFT EAGLE off the Queensland coast, embarking 12 armoured personnel carriers marking the ship’s first major amphibious operation since 1986. In October she began a two-month deployment in southern waters participating in the Sea Days International Boat Show in Melbourne, before continuing on to Hobart for Exercise LONE VIGIL, an army insertion and reconnaissance exercise on the south east coast of Tasmania. She also supported the World Rowing Championships at Lake Barrington near Devonport in November before returning to Sydney. January 1991 saw Betano resume the regular program of training, maintenance and support to the Army. She performed the role of starting vessel for the Sail for Cancer Yacht Race in Sydney Harbour in March 1991 and 1992, and participated in Exercises SQUADEX and WET WALLABY in 1991, and TASMAN LINK in 1992, both major amphibious exercises. This busy schedule of training and exercises was maintained throughout the decade. Participation in major Navy, Army and joint-service exercises included the annual Exercise SQUADEX in 1993, 1994, 1995, 1996 and 1999; Exercise BLUE ORCHID in 1993; Exercises SCORPION STING, ALERT and FAR REACH in 1994; Exercise TASMAN LINK in 1995; Exercises INITIAL LANDING and KOKOA TIGER in 1996; Exercises TANDEM THRUST and TASMAN EAGLE in 1997; and Exercises TASMAN LINK and RED MOON in 1998. These exercises were normally very busy periods for the LCHs. 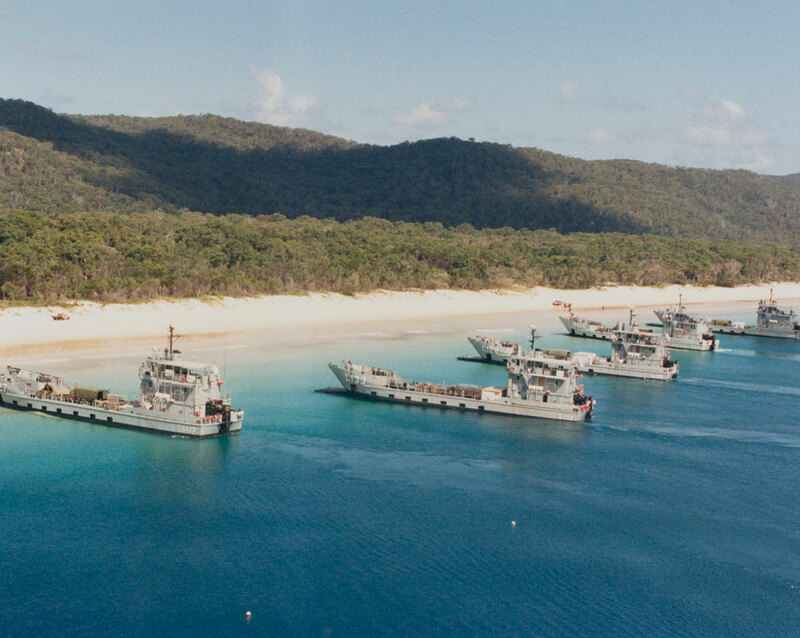 During Exercise TASMAN LINK in 1998 Betano conducted 21 beachings and transported over 70 vehicles, 200 troops and 10 field guns between Sabina Point and Townsend Island in Queensland. 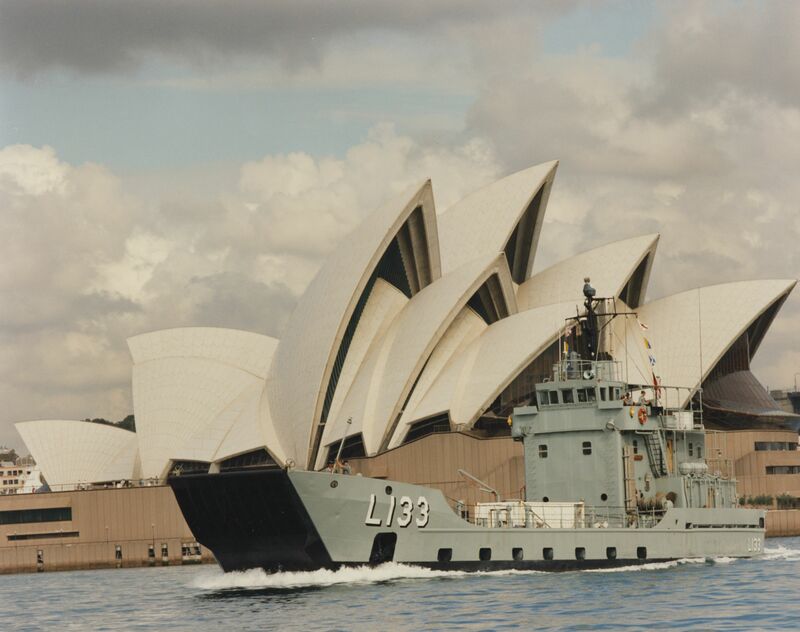 HMAS Betano against the backdrop of the Sydney Opera House, 25 March 1996. Betano deployed overseas for the first time in eight years on 30 July 1997 when she departed Cairns for Papua New Guinea to participate in Exercise PARADISE 97, the first of two occasions that the ship participated in this exercise. The deployment included port visits to Madang and Kavieng as well as exercises in the Bismarck Sea. On 23 August, enroute to Manus Island, the port main engine became unserviceable and Betano was forced to await a new engine in Manus. With the new engine installed, Betano departed Manus for Cairns on 4 August. She returned to PNG to once again participate in Exercise PARADISE some fourteen years later in October 2011. Overseas operational deployments became a regular occurrence for the LCHs through the late 1990s and into the new millennium. In March 1998 Betano deployed to Bougainville Island for Operation BELISI, providing sea-lift and other logistic support to the Multi-National Truce Monitoring Group on Bougainville. The ship deployed twice more to Bougainville between July-September 1998 and May-June 1999. The LCH carried upwards of 70 tonnes of stores and equipment on these two voyages and, due to the limited lifting capacity of the Army crane at Bougainville, nearly half the load had to be disembarked manually. The ship also conducted patrols, provided transport for peace monitoring teams, and conducted “peace awareness meetings” in the islands of the south-east. 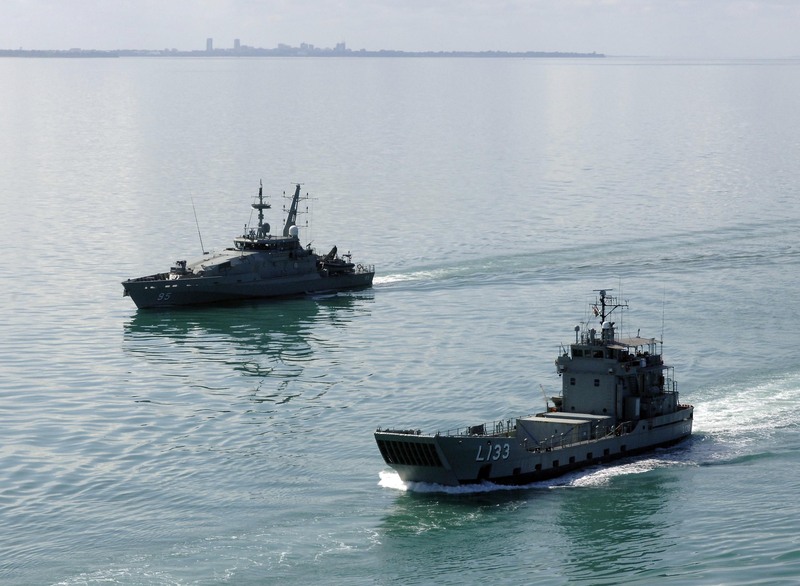 Armidale class Patrol Boat HMAS Maryborough with HMAS Betano, sail in company from Darwin Harbour. Betano moved to her new home port of HMAS Coonawarra in Darwin on 12 January 2000 and deployed to Dili, East Timor just three days later in support of Operation STABILISE. While there she made her first port visit to the area for which she was named, Betano, on 30 January where the ship’s company distributed toys to local children. She departed the Area of Operations on 19 February and was rewarded with a meritorious unit citation for her contribution to the INTERFET operation. She deployed to East Timor six more times between March 2000 and May 2001 in support of Operation TANAGER. On 13 August 2001, Betano began a long-awaited Life of Type Extension at the Tropical Shipyards in Cairns returning to operational service on 5 March 2002. The final decade of Betano’s commission was a busy period of exercises, training and overseas deployments. 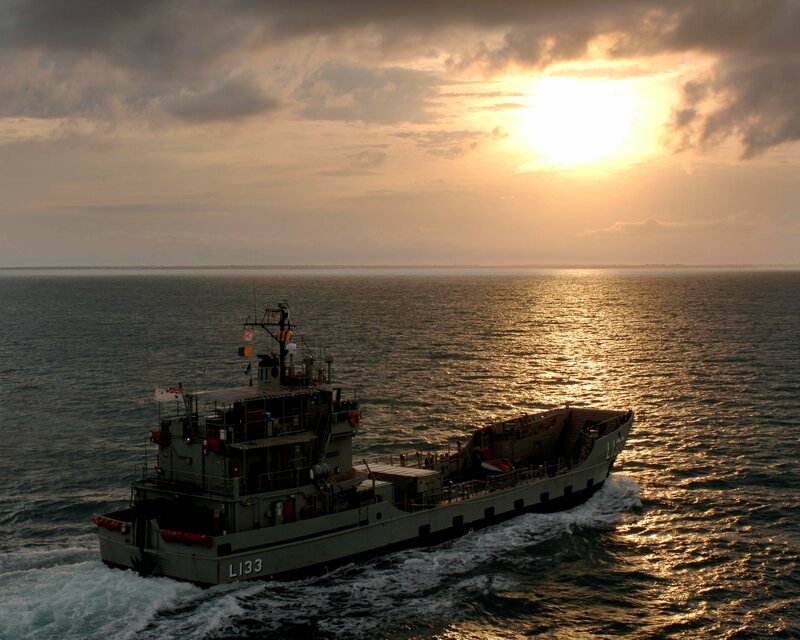 She deployed to Bougainville again in July 2002 in support of Operation BELISI II, during which the ship’s company disposed of World War II era Japanese ordnance near a school at Buka. She participated in Exercise SWIFT EAGLE that September, before deploying to Noumea in November for the inaugural Exercise CROIX DU SUD, a French-led multinational humanitarian assistance/disaster relief exercise. Betano deployed for Operation BELISI II in June/July 2003 and in October, departed Australian waters again for the first of two deployments in support of Operation ANODE, the Australian Defence Force’s contribution to the Government’s strengthened assistance program to the Solomon Islands. Betano provided sea-lift support for Regional Assistance Mission Solomon Islands (RAMSI) forces and was involved in the construction of police stations on Guadalcanal. She returned to Australia in November 2003 and redeployed in February-March 2004. HMAS Betano approaches HMAS Kanimbla to carry out a stern door marriage near Cowley Beach, Queensland, during Exercise SEA EAGLE '05. In November 2004 and September 2005 Betano twice returned to Dili carrying a cargo of stores. She made a number of further deployments to the East Timorese capital supporting Operation ASTUTE in September, October and November 2009, February and November 2010, and February 2011. Betano’s stays in Dili normally lasted only a day, with a hectic period of unloading and loading supplies and equipment before making the return voyage to Darwin. She again deployed to Dili in August 2011 for Exercise TUBARUAN, a multi-national amphibious exercise. 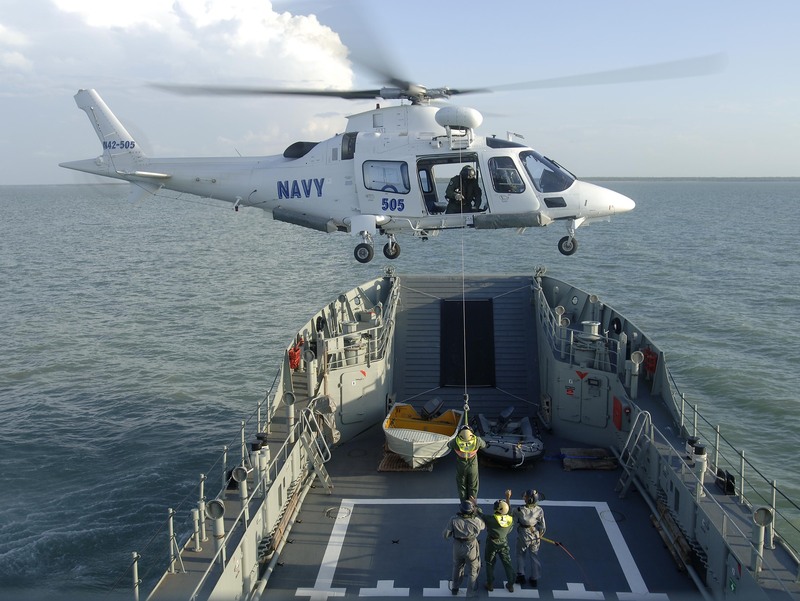 HMAS Betano conducts an Aviation Sea Safety Assessment with a 109E Agusta Westland Helicopter from 723 Squadron, November 2008. In addition to her regular overseas deployments in the 2000s, Betano’s operational commitments in Australian waters also increased. She provided regular support for Operations CRANBERRY and RESOLUTE, the ADF’s contribution to the whole-of-government effort to protect Australia’s borders and offshore maritime interests, and in April 2005 participated in Operation CLEAR WATER in conjunction with Australian Customs and the Australian Quarantine and Inspection Service, aimed at detecting and deterring foreign fishing vessels in the Gulf of Carpentaria and in the waters to the north of Arnhem Land. In November 2004, with five school children and a teacher embarked, Betano delivered 20 tonnes of building supplies to the Gawa Homeland Community School on the northern tip of Elcho Island in support of the Northern Territory Christian Schools Association. She also participated in Operation OUTREACH, delivering much-needed supplies to remote Indigenous communities in the Northern Territory in September, October and November 2007, and April 2008, while maintaining regular participation in important annual exercises such as SQUADEX, SEALION and TALISMAN SABRE. Betano twice participated in the US led humanitarian aid mission PACIFIC PARTNERSHIP, in 2009 and 2011. On both occasions Betano provided sea-lift support for Medical Civic Action Program and Veterinary Civic Action Program teams while the ship’s crew provided ship-to-shore transport for personnel and equipment. They also completed minor engineering projects, such as the renovation of a school and the installation of a water tank to provide safe drinking water in the isolated community of Malao in Vanuatu. Betano played a vital part in the PACIFIC PARTNERSHIP program, providing the capability to move and sustain large medical and veterinary teams in remote locations. Left: Crew of HMAS Betano support a expeditionary medical program in regional Tonga during PACIFIC PARTNERSHIP 2009. Right: Royal Australian Air Force Dentist, Flight Lieutenant Eugeniya Kelloway, demonstrates how to brush teeth at Nanpei High School, Micronesia, during PACIFIC PARTNERSHIP 2011. HMA Ships Betano and Balikpapan provided vital ship to shore support during the deployment. HMAS Betano, along with her sister ship HMAS Balikpapan, decommissioned in Darwin on 12 December 2012, bringing to an end nearly four decades of essential logistic support not only to the Australian Defence Force, but also to the broader civilian communities of Australia and the South Pacific, the high tempo of her commitments reflecting the ship’s motto, 'Bravely In Difficulties'. Left: Commanding Officer of HMAS Betano, Lieutenant Christopher Cockerill, RAN addresses dignitaries, crew, family and friends at the decommissioning ceremony. Right: The crew of HMAS Betano fold the Australian White Ensign after it is lowered for the last time as they decommission the vessel. 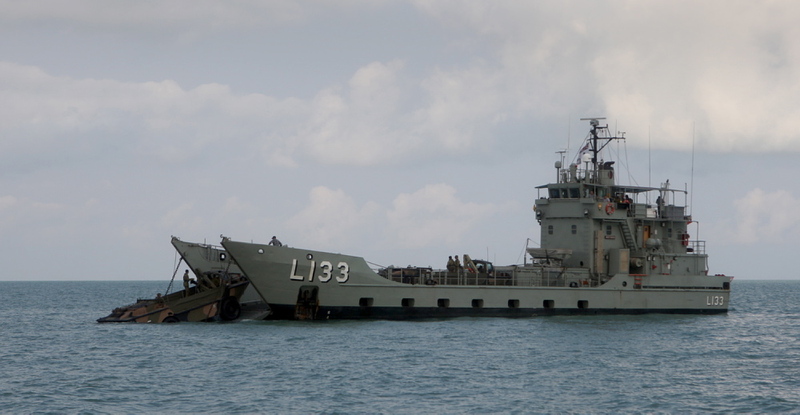 HMAS Betano steams into Darwin Harbour at the end of the Minor War Vessel Concentration Period, 2008.